If you have an area with some moisture, and you want a dramatic looking foliage plant, then Gunnera manicata may be the plant for you. Gunnera manicata is often referred to as ornamental rhubarb or giant rhubarb (and no, it is NOT edible). A real feature in any garden, huge leaves are a stand out in any situation. Gunnera manicata can reach a good height it has leaves up to 3m long with spiked stems. Gunnera prefer a moist position to do well. With a good specimen you can stand beneath the foliage, a luminous green umbrella that enchants children and grown ups as well. These plants will reach nearly 3m in height with a similar spread. Regarded as one of the largest of all perennial plants Gunnera manicata can make a feature plant in a bog garden. It will need space, and year round moisture so consider this when planting. In winter the foliage will die back although in warmer climates it can be almost evergreen. They are frost tolerant and grow well as far south as Tasmania. In spring the large buds will come back to life pushing out those giant leaves. Propagation is by division or from seed. Height – The tall stems will lift the leaves to (3m) 9ft in height in good conditions. Spread – A individual leaf can be over 1 metre (3 ft) across. A clump will spread over time to take up as much suitable soil as it can. Easily controlled by removal of the offsets. Position – Full sun to part shade. Part shade in warmer climates. 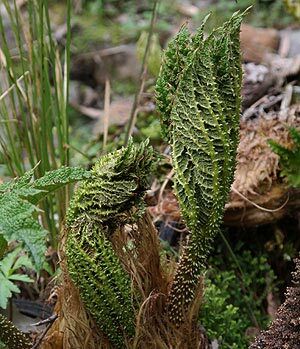 Soil – Best is permanently damp soils, Gunnera will grow in boggy soils in pond margins. Fertiliser – In naturally boggy soils the plant will thrive on the nutrients in the soil itself. In soils that are irrigated you will need to apply good amounts of fertiliser each spring. Try top dressing with aged compost and cow or sheep manure. As winter comes around, the foliage will begin to die back, you can cut the foliage back to ground level and leave them around the plant as a natural mulch.